The competition is now closed and the winners have been announced. For details and photos, visit our Awards Ceremony page. In partnership with the Literature Translation Institute of Korea, the Asia Literary Review will be holding an essay competition in 2018, focusing on a selection of short stories by Kim Ae-ran. 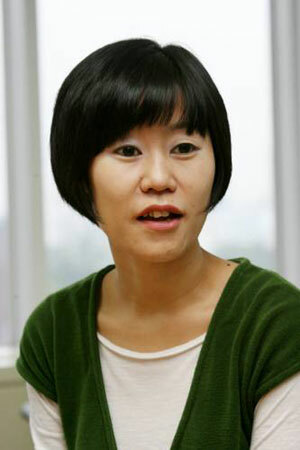 A rising young star of the Korean literary scene, Kim Ae-ran is the recipient of numerous awards. Her work has begun to be more widely translated and her novel, The Youngest Parents with the Oldest Child, was brought to the screen as My Brilliant Life (2014) by the acclaimed film director E J-yong. Kim Ae-ran is widely regarded as one of the most prominent voices of a new generation of millennial Koreans, articulating through her writing the challenges they face in a rapidly changing society. ♦ Based on three short fiction pieces published in issues 30 & 34 of the Asia Literary Review: 'The Youngest Parents With the Oldest Child', 'A Dignified Existence' and 'Where Would You Like to Go?'. ♦ Ideas to consider: What is the author saying through these stories about the lives of young professionals in contemporary Korean society? What literary techniques and elements of style does she uses to convey her stories? What makes her writing effective - or not? ♦ Essay length – no more than 1,500 words. ♦ Applicants may refer in passing to other works, but their main focus must be firmly on one or more of the three stories selected for the competition. ♦ Applicants are not required to refer to or quote from other writings on Kim’s work. However, if they choose to do so, they must follow standard UK conventions for citation. Unattributed quotation will disqualify the applicant. ♦ Essays must be attached as a Word document in Times New Roman at 12pt, with the language set to English (UK). ♦ No headers, footers or page numbers. ♦ Word files may not include the applicant’s name, contact details or any other identifying information, either in the document itself or in the document’s Properties. ♦ The body of the email, however, must include the applicant’s full name, email address, postal address and contact number. Where the applicant is a student, this must be made clear and the name and address of the institution must be included. ♦ The Asia Literary Review reserves the right to publish, in print or on its website, at its sole discretion and upon prior notification to the selected essay authors, any submitted essays. Copyright thereafter is retained by the authors. ♦ A panel of academics and professional editors, each an expert on contemporary Korean literature. ♦ A shortlist of 3-5 essayists will be selected by 31 May 2018. ♦ An award ceremony will be held in London in late June 2018 (date and venue tbd) when Kim Ae-ran is scheduled to visit the UK. The shortlisted essayists will pitch their essays and the judges will select a winner. ♦ Each shortlisted essayist will receive a Waterstones gift certificate worth GBP100. ♦ The winner will be invited to attend a private dinner with Kim Ae-ran in London during her UK visit. 'The Youngest Parents With the Oldest Child', 'A Dignified Existence' and 'Where Would You Like to Go?' will be made available to candidates in PDF format or through free copies of issues 30 and 34 of the ALR to be collected at the Korean Cultural Centre UK in London at 1-3 Strand, London WC2N 5BW. Contestants living outside London should send us an email to arrange for copies to be sent either by post or by email. Please sign up for further updates on events, venues, terms and conditions. March 27 2018 - Following several requests from entrants for an extension of the deadline, the organisers have decided to continue to accept submissions until April 30 2018. December 31 2017 - The competition is open to candidates of any nationality and from any country.